Garam masala is a mixture of unique aromatic spices used in Indian cuisine from ancient times. 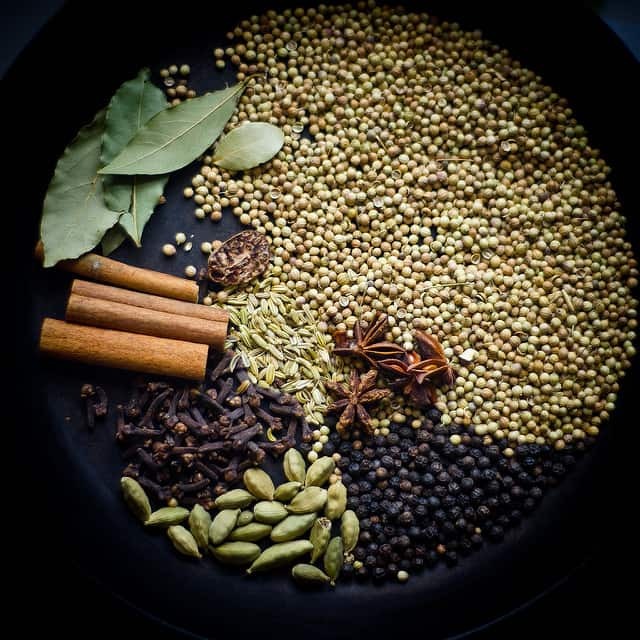 Different regions of India use different spice blends so there are various traditional recipes for garam masala. Some simple recipes contain as few as 5 types of spices and other contain as many as 35 spices. Main ingredients are warming spices with earthy aroma such as cinnamon, ginger, black pepper, clove, fennel and cumin. Garam means “warm” and masala means “spices”. The “warm” refers to the fact that spices are first toasted, then ground and mixed together. Garam masala promotes weight loss, reduces bloating and increases circulation and body temperature. 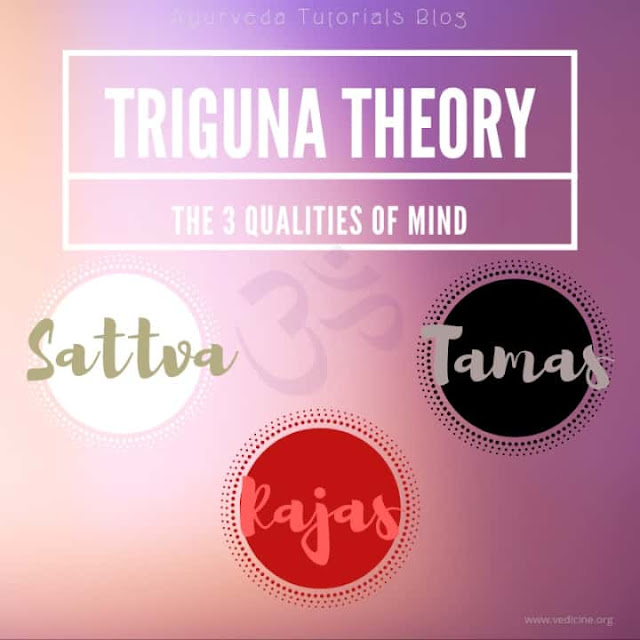 It stimulates agni or digestive fire and balances the aggravated Kapha dosha and Vata dosha. It has had a long medicinal history in Ayurveda. Dry roast each spice separately in a pan and heat over a low heat stirring constantly to release the aromatic oils from the spices. Toast them until they are fragrant but not browned (2-3 min). Cool the spices and grind them. 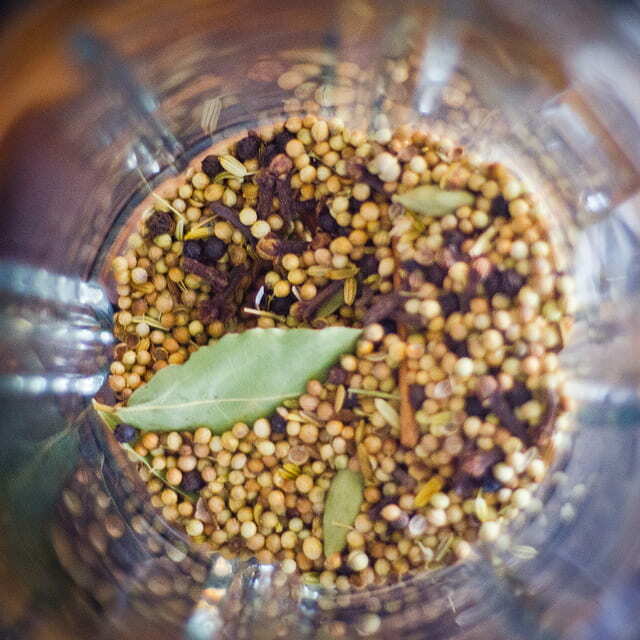 Pour the garam masala into air-tight container and store in cool and dry place for 2-3 months. Garam masala must be added in small quantities or it will be to over powering. It is most often added at the end of cooking to retain the flavor of spices. Use garam masala to add flavor to soups, vegetables, rice, beans, dips, curries or salad dressings. Coriander relieves bloating, cleanses the blood and removes heavy toxins from the system. Cumin reduces diarrhea, enhances the memory and relieves nausea. Clove has antibacterial and anti-fungal properties and it stimulates digestion. Black pepper increases circulation and digestion, promotes weight loss and removes ama or toxins. Fennel relieves menstrual pain, improves immunity, digestive discomfort and nausea. Bay leaves slow down the aging process, protect the body from bacterial infections and reduce inflammation. Cinnamon increases circulation, lowers blood sugar and reduces depression. Anise prevents tooth decay, flu and bad breath. Cardamom improves cardiovascular health and helps to prevent colon cancer. Nutmeg is brain tonic and it has anti-inflammatory and antiseptic properties.